Overview of some of the services offered by Fucich Contracting. For more detailed information on how we can help meet your special needs and requirements, or if you have any questions, please feel welcomed to contact us via e-mail, or call our main office. - Provide fitters and welders with working knowledge of exotic metals including Nickle Alloys, Titanium, Hastelloy-C276, and Haynes 230 as well as the more common metals such as Carbon Steel and Stainless Steel. 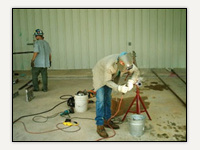 - Qualify welders on established procedures or run specific procedures. - Maintain required documentation for PSM processes including hydrotest reports, radiograph, and post weld heat treat documents. - Provide qualified craftsmen for repairs and alterations to boiler piping and ASME pressure piping and all necessary documentation required by the local jurisdiction and NBIC. - Provide experienced craftsmen who can safely fabricate and erect structural steel components and systems. 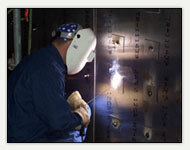 - Provide welders qualified on structural steel welding procedures. - Provide highly skilled workers with experience working in existing facilities under various operating conditions. - Work closely with planty personnel to reduce down time and operating cost by optimizing opportunities to implement repairs and modifications. - Provide personnel to accurately analyze mechanical systems, and setup and perform maintenance services on existing equipment/systems and required documentation. - Provide qualified, experienced millwrights with knowledge of modern tools and techniques required to efficiently and accurately install and repair various types of equipment. - Repair or rebuild major components including power transmission components, pumps, etc. - Set, align, and maintain rotating equipment including pumps, compressors, blowers, etc. using state of the art laser and conventional alignment techniques. 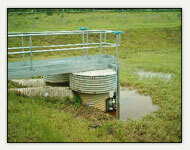 - Install and maintain equipment such as conveyors, presses, rolls, etc. including hydraulic and pneumatic components and systems. - Provide for other services specific to your needs and requirements. - Perform repairs and alterations to boilers and boiler piping including HRSG units, Recovery Boilers, and Power Boilers. - Design, manufacture, service, and install pressure components on fired pressure vessels. 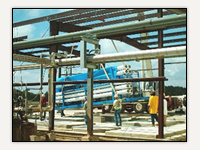 - Perform repairs and alterations to unfired pressure vessels and associated piping systems. - Provide workers with the skills necessary to neatly and efficiently bend and install tubing for any application. - Our tubing technicians can work with all types of tubing including carbon steel, stainless steel, monel, copper, and also coated or pre-insulated tubing. - Systems include instrument air, compressed air, water, and other utility systems as well as high-pressure hydraulic and pneumatic applications that require heavy wall tubing. - We can run tubing in all sizes from the smallest to the largest bores available, using various joining techniques including welded joints, sweat type joints, compression fittings, and swaged connections.